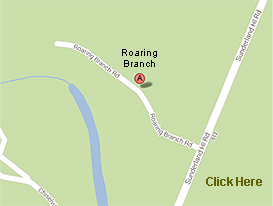 The Roaring Branch Cabin Owners Association neither collects nor stores any personal information from visitors to this web site. This site does not use "cookies" and does not in any way track individual access. 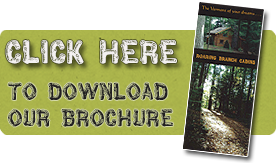 The site exists only to provide information about our log cabins to potential visitors and renters. We have no electronic newsletter or electronic mailing list. All reservation requests and inquiries are directed to our rental agent or via telephone at (802) 375-6401.